Commuting to and from school takes its toll on community building within Ryerson. As a student who identifies as a commuter and spends close to two hours a day commuting, I understand the effort and challenges to be involved on campus. My days coming to campus for class then heading straight home ended when I got involved in Central Orientation during my second year. Entering my third year, I was offered the position as an Orientation and Events Assistant under the supervision of Andrew Bisnauth. All my involvement within Student Affairs has helped me grow and develop new skills and a mentality that will forever shape my goal to become a well-rounded person. And I could not have done this without taking that first step to become involved in my second year. 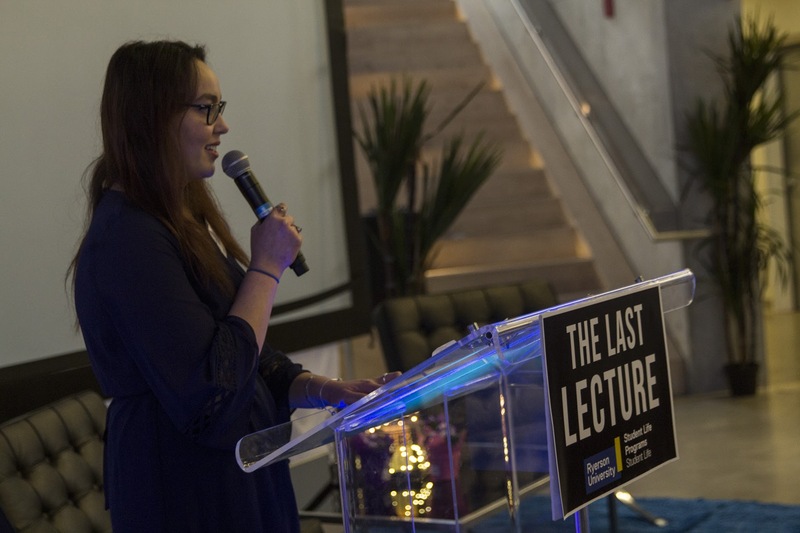 “Personal Development” is one of the five pillars, or goals, within Ryerson Student Affairs and helps shape their efforts to make on campus life impactful and engaging. Along with personal development, community, learning, mental well-being, and professional development make up the five pillars of Student Affairs. To me, personal development means gaining the skills to help grow an individual to be the best they can be. Every event I plan, volunteer for, every moment I spend thinking and reflecting, I am personally developing. This is a process that continues throughout your whole life. When you think you’ve found the best you, you may be blindsided by encountering someone or experience a moment that may make you reflect and learn more about yourself. The experience of personal development can help an individual realize and maximize their potential and evolve your identity. I’ve struggled with finding “my why” ever since attending an RU Leadership workshop last year. The professional staff with Student Affairs are always finding ways to help students grow and I have been blessed with numerous opportunities to expand and to learn more about myself. And while I still have not found my why, I am surrounded by an incredibly supportive team of people who influence myself and challenge me to work towards my personal development, everyday. A recent and continuing moment of personal development stems from my passion for sustainability. Throughout my experience working in Student Affairs, I’ve tried to incorporate sustainability practices in my work. While there were barriers, I can honestly say that I’ve succeeded at thinking and acting sustainably. Working alongside an incredible group of individuals to plan and execute orientation was the most challenging yet rewarding experience for my personal development. Working seven hours a day with the same people for four months in a small room did not always breed the best environment for a healthy mentality and productivity. Prior to planning orientation I was unconfident with my abilities and did not believe that I had the skills to communicate with people I would encounter on my journey to plan the 2015 orientation. Every day I would come home exhausted, feeling mentally and physically drained. There was a moment where I realized that I needed to reflect within myself and it was then that I found that I was causing and building this stress within myself. I am a people pleaser (well I can now say that I WAS a people pleaser). I would find myself changing my personality and stretching myself thin to be liked and to please as many people as possible. But, finding what made myself unique and happy helped solve this – and every day this past summer I would take that first step to be confident and me. 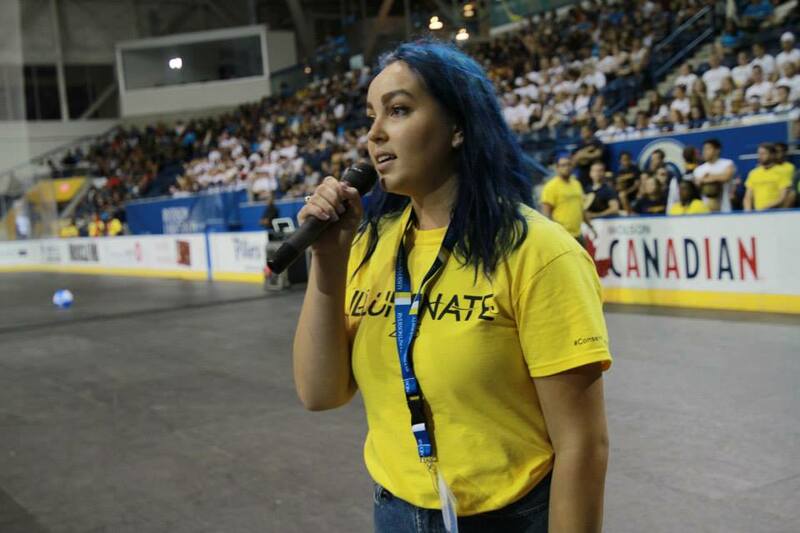 Finding that homeostasis not only helped me but brought out the skills to develop the team of orientation planners to make this orientation the best yet for incoming Ryerson students. My support systems helped me as much as any external person could but what ultimately needed to happen is a realization that I needed to do something. Being true to yourself and finding out what makes you a happy and well-rounded person is important to help you personally develop.